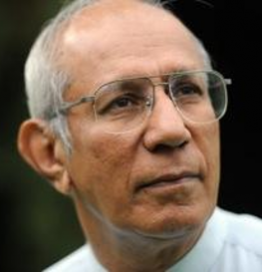 Dato’ (Dr.) Anwar Fazal is the Chairperson Emeritus, World Alliance for Breastfeeding Action(WABA) and co- founder of the International Baby Food Action Network ((IBFAN) . He is the recipient of the Right Livelihood Award, popularly known as the ” Alternative Nobel Prize” for his work on breastfeeding and infant nutrition and other health ,environment and consumer issues.The Le Leche League International(LLLI) and the United Nations Development Programme have honored him with the International Health Award and the Millennium Development Goals Awards, respectively. He has written extensively on breastfeeding including the forewords for the books THE WOMANLY ART OF BREASTFEEDING and BREASTFEEDING-THE NATURAL WAY and also authored FIRST FOOD,FIRST RIGHT.